Around this time of the year, I am attracted to the simple beauty of moss. The lovely thing about moss is that even if your house is still covered in snow you can go with a faux moss look and create that Spring feeling in your home! It’s been raining here everyday, so our moss is a beautiful lush green and it’s calling my name. 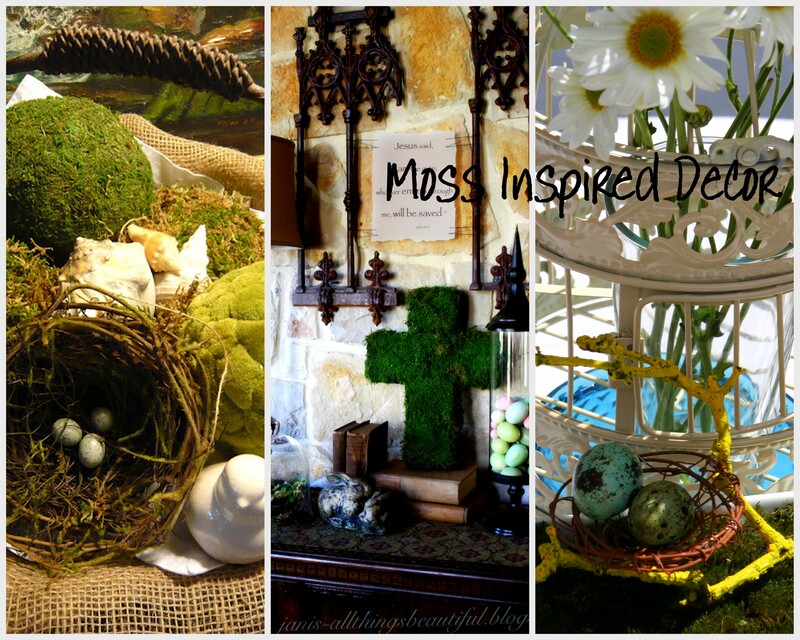 Enjoy embracing Spring with our Inspired Moss Decor! These will not take you more than 25 min to make. First, we will start with this easy decorating idea for your table or mantle. Green, yellow and blue are cheery and fresh colors to get your Spring inspired home decor going. I used live moss and dug it up and put it in my white rectangular dish then I spray painted a branch yellow. 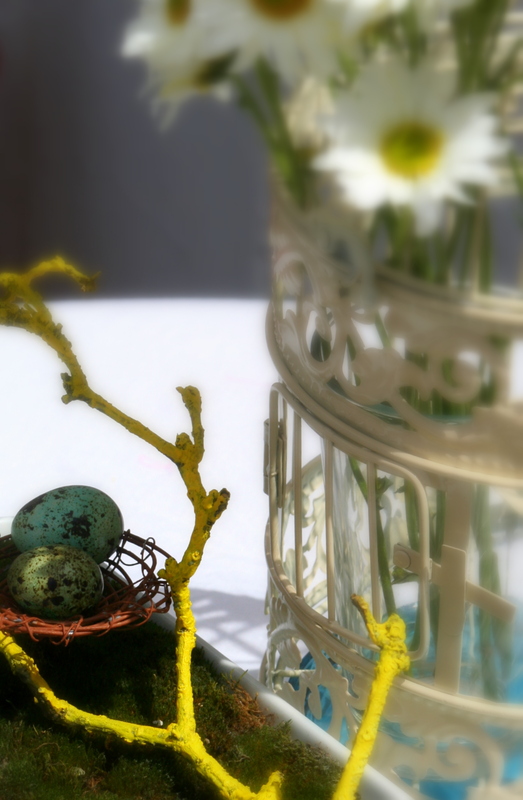 I made this wired bird nest and placed dyed Quail eggs to make this lovely center piece. Place some happy daisies inside a bird-cage. Now sit back and take it in and you just might here the birds chirping outside. 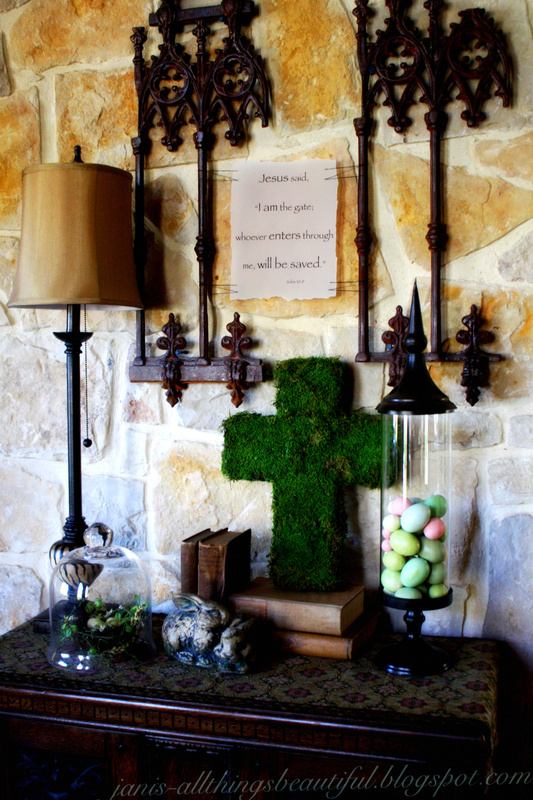 Secondly, to get us ready for Easter, Janis from All Things Beautiful shares this lovely Moss Cross with us using faux moss. You can find it in our Spring Issue here, in flip page magazine format. For the tutorial and pictures of this moss cross go here. 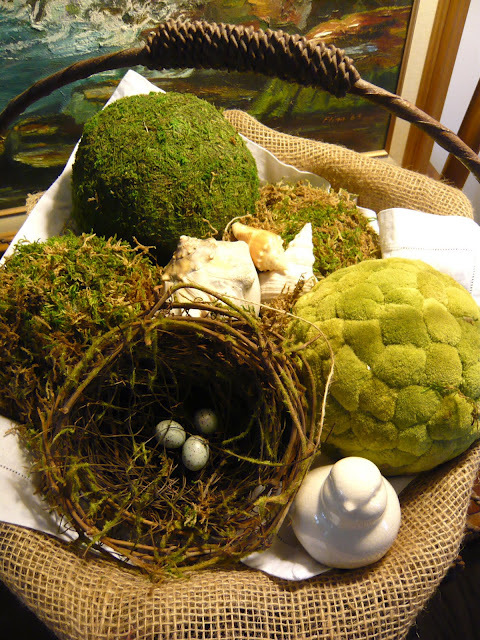 And we will end with Designing Domesticity Moss covered balls also using faux moss. She shows us how to make moss balls that you can use throughout the year. Note: When using live moss make sure to provide moisture and light.